Snowy owls have been witnessed preying on endangered piping plovers. Image: Russ, Wikimedia Commons. A new predator has emerged for piping plovers in the Great Lakes. 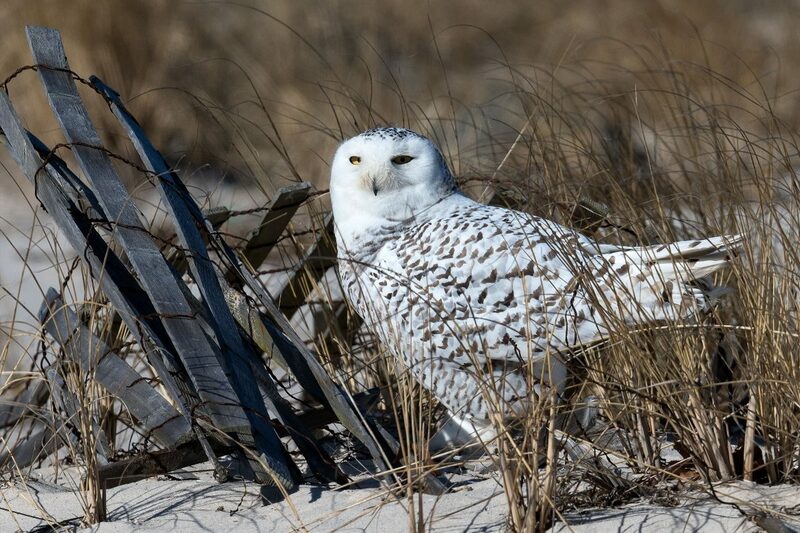 Snowy owls were recently seen eating plovers in several locations along the Great Lakes, including Sleeping Bear Dunes National Lakeshore in northwest Lower Michigan and Vermilion Point in the Upper Peninsula. 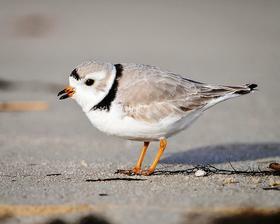 Piping plover are a critically endangered species. There were only 11 nesting pairs reported back in the mid-1980s. They have since expanded to 76 pairs, located all over the Great Lakes region. The Great Lakes piping plover coordinator for U.S. Fish and Wildlife Service, Vince Cavalieri, said he wasn’t expecting a new predator. “This is the first time that I’ve seen snowy owls this late into the season in these kind of numbers, and also it’s the first time we know that piping plovers were predated by snowy owls,” Cavalieri said. The Fish and Wildlife Service talked about trapping the owls but that ended up not happening. “Most of the owls have left on their own,” Cavalieri said. Earlier this year, Audubon reported on another emerging threat to the region’s piping plover population: the merlin, a threatened species of small falcons, has been recovering as well and often feeds on shorebirds such as piping plovers. Every year, conservationists take measures to protect the plovers. They build nest exclosures and install monitors on beaches to keep an eye on how the plovers are doing. Cavalieri’s team also takes abandoned eggs to a rearing station in Pellston where the eggs are incubated. Birds that survive will be released into the wild. The Great Lakes Piping Plover Conservation Team is still unsure why snowy owls stayed in the Great Lakes so long this season. The birds usually head back to the Arctic in April.